Tomorrow we embark on our 10th Anniversary Event!!!!! Holy Moly – We SOLD OUT – but don’t worry I opened more. Be advised “day of” might be very limited if we sell to much more. We’re got a week to go till our event at The Kelly Farm, Are you ready ? Does the car start ? Have the AAA renewed ? Scouted your route ? Sunday at the Kelley Farm we’ll host our annual “Old School” event featuring classic european cars with nostalgic JDM vehicles PRE-1988 model years. We’ve surpassed the 2017 tickets and we’ll sell until we jam full the field to expose you to the best old schoolers we can get. Bring your ride, BBQ and Chair and hang out in our new venue at The Kelley Farm. We’ve moved to the larger field next to the main roadand much closer to shopping if you take a stole. Also this year will be adding more games and areas for clubs. 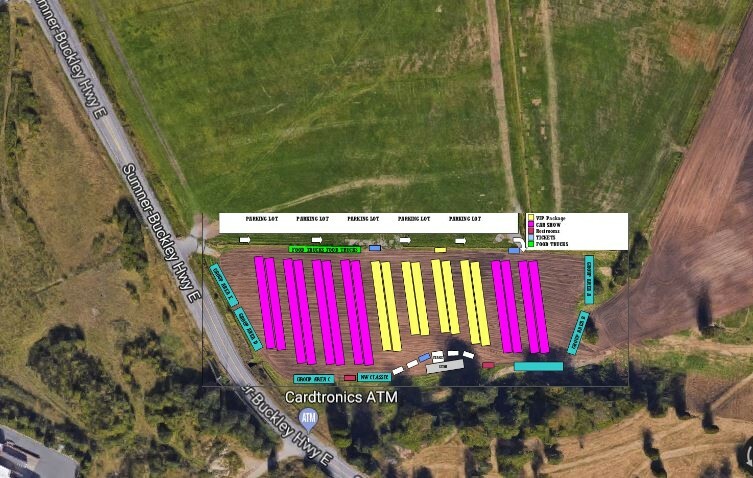 We have moved the event to the main show field at Kelley Farms for two reasons, they sold our date to a wedding and we really needed more space for 10th Anniversary Party. Now as you come from Sumner- Buckley Hwy you’ll drive right past the entrance for the this years event. We will have four times the parking for spectators (Your friends) to see our little show. We took a little time in the off season to create these new air fresheners for your vehicle. No more musky smells , now its all fresh with a hint of Vanilla. 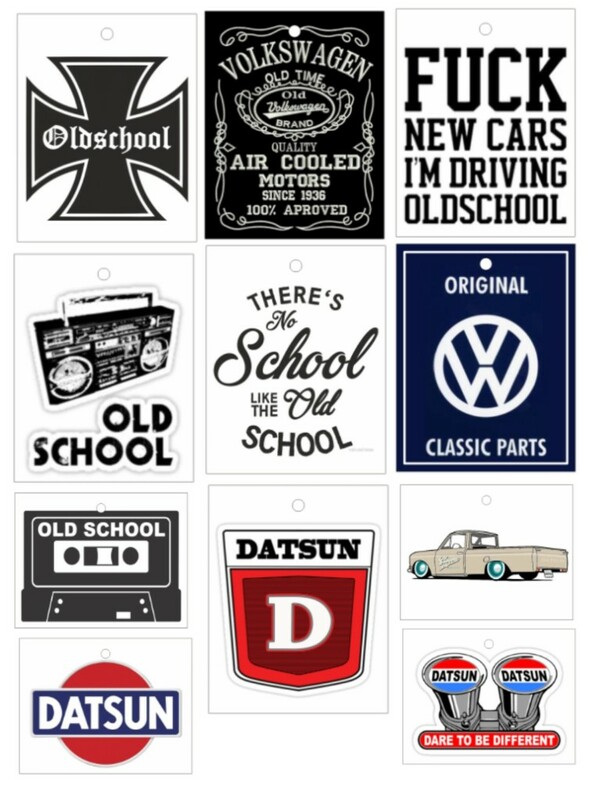 We’ve added a few classic themes for Old School. Find these and more at the show at the merchandise tent next the stage. 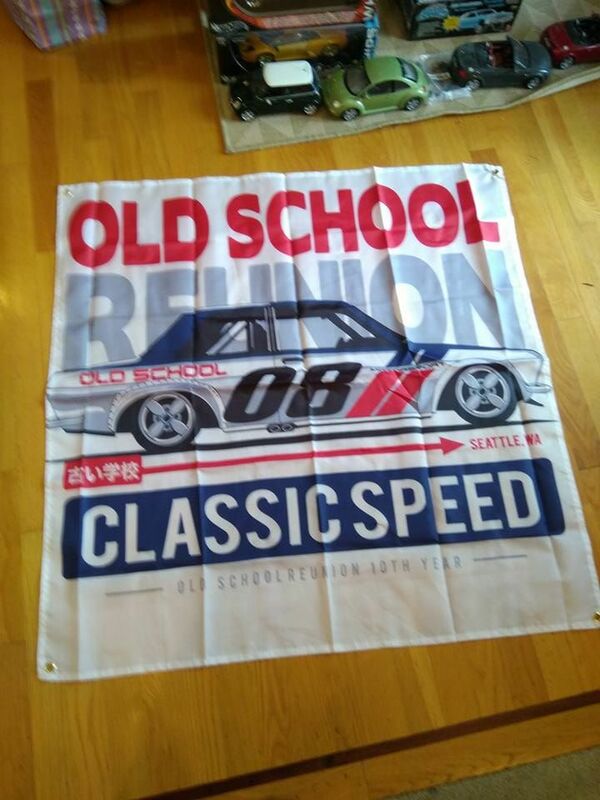 We took the designs we had a had a few garage flags made for those of you that would like a little piece of Old school to take home. These 3ft x 3ft flags are awesome. Video – Look back at last years event !!! 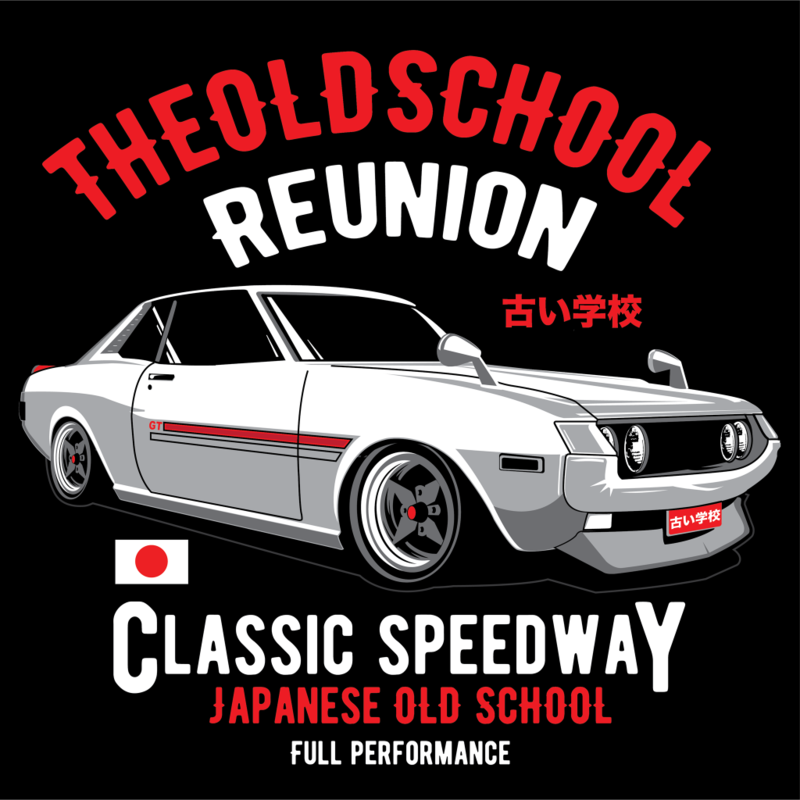 Sunday at the Kelley Farm we’ll host our annual “Old School” event featuring classic european cars with nostalgic JDM vehicles PRE-1988 model years. deal Cars visits The Old School Reunion where over 300 JDM and European cars spanning multiple decades meet up and throw an epic car show! Original Skyline GTR’s, VW Bugs and even a couple Honda City Turbo’s made an appearance. Awesome day with great people! Can’t wait for next year! Tonight at 7pm I will be doing a live stream to go over the information in this roll in information email. Roll in for TOSR starts at 10am. Sally will start to check in folks at the gate at 10am and we will begin parking our rows. We do like to park like models together and groups when we can. VIP Package holders may arrive anytime after 10am and wil be parked up front in the VIP Row. After 3PM or if we run of room we may stop letting cars in . We’ll try to get you to the head of the line and get you pushed to the venue floor to get you setup first. Sometimes the lines can get long , be patient and we’ll do the very best for you. Bring a lunch or use one of our two food vendors this year. But remember to keep some things out of sight. Have good time but don’t be out of control. YOU’RE INVITED! 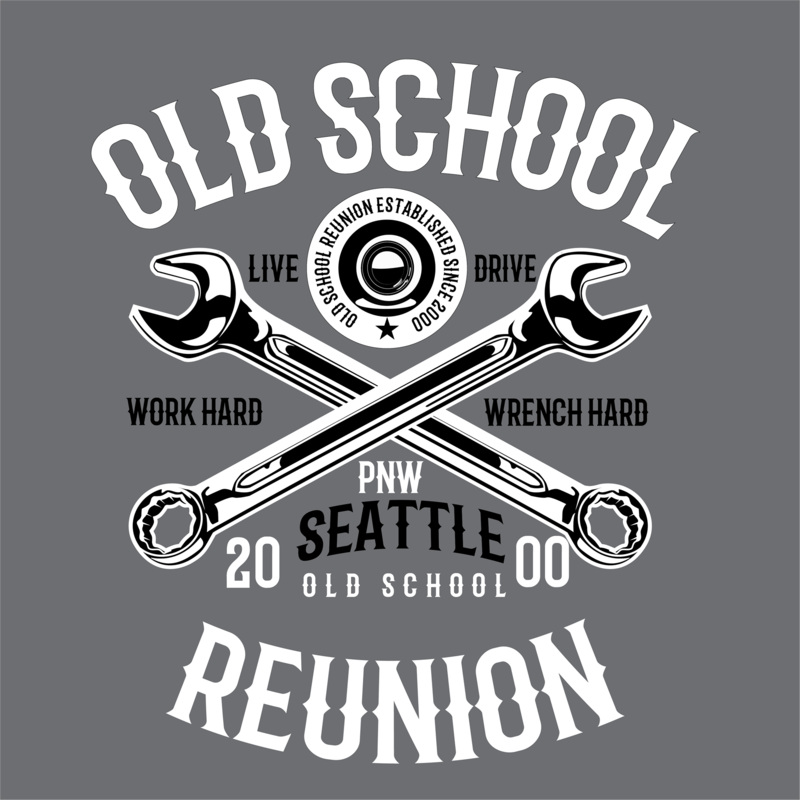 Tell a friend, to tell a friend, to tell a friend..Happenstance Event Productions is pleased to announce our Seattle The Old School Reunion is back for a ninth year and we are ready to see some great cars and talk to old friends. Bring youre ride, BBQ and Chair and hang out in our new venue at The Kelley Farm. Gone are the days of crammed cars , we upgraded from 3 acres to 8 acres and the opportunity to camp the night before the event. Also this year will be adding more games and areas for clubs. 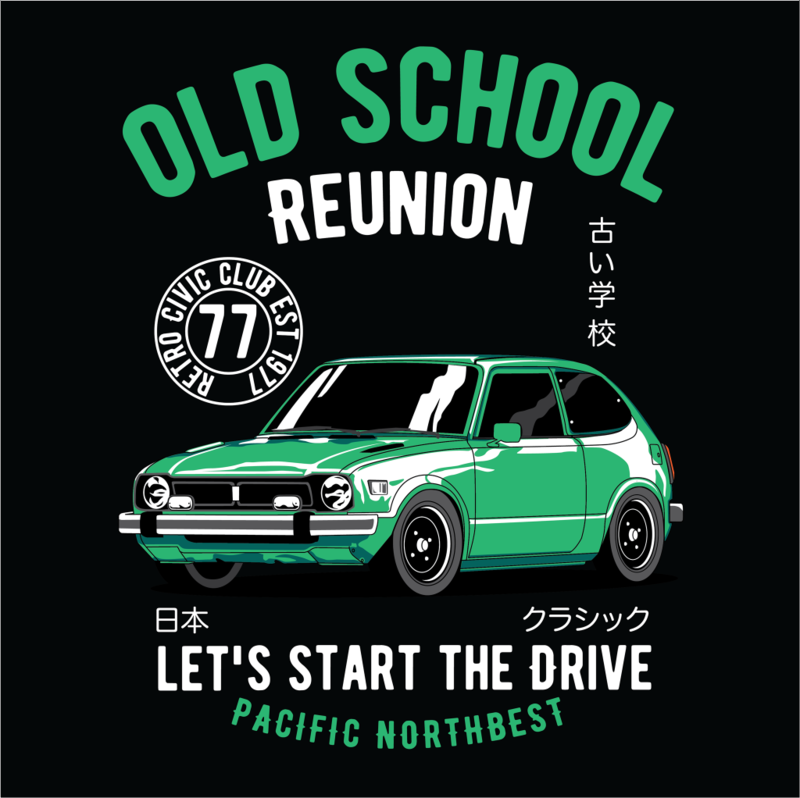 So we would like to see some classic European cars with nostalgic JDM anything PRE-1988 model years. More room for spectator cars as well. 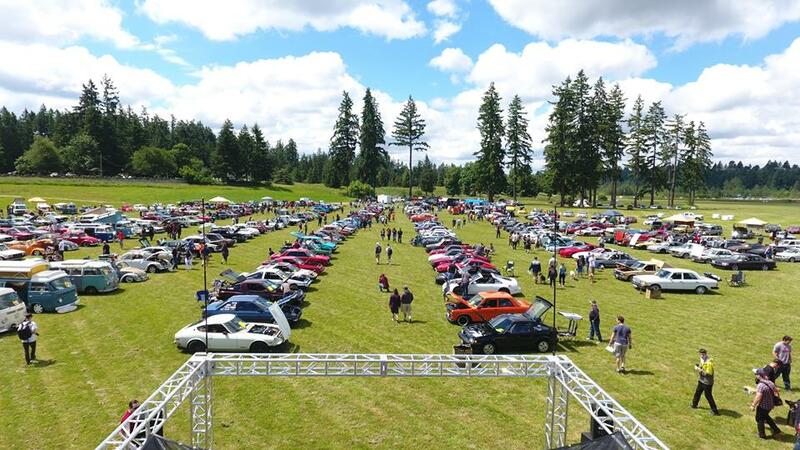 Anyone can come a hang out with us for the day , bring a BBQ , some soda and a chair and sit in sun and enjoy some classic pacific northwest cars . 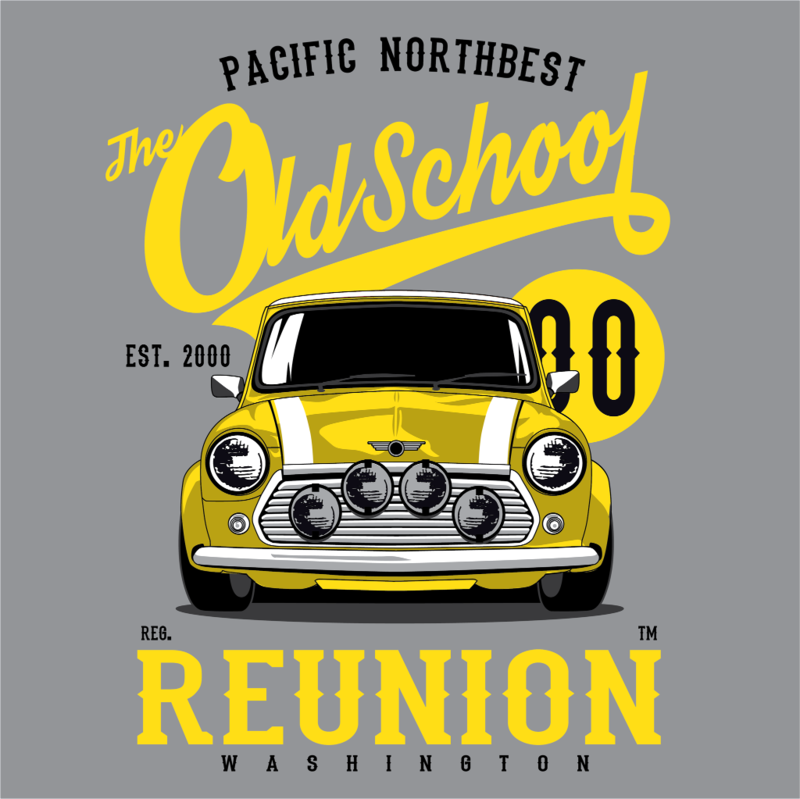 The Old School Reunion is back for an ninth year and we are ready to see some great cars and talk to old friends. We decided to have TWO shows this year. In Las Vegas April 2nd with StanceWars to make a full weekend and back at Kelley Farms in June. Lot of details to work out but RSVP on the facebook events to keep up with changes.